Plateau des Glières is in the Aravis region of the Northern Alps and at an altitude of 1395m. It links the villages of Entremont and Petit Bornand in the Borne valley with the village of Thorens-Glières in the commune of Fillière to the west. 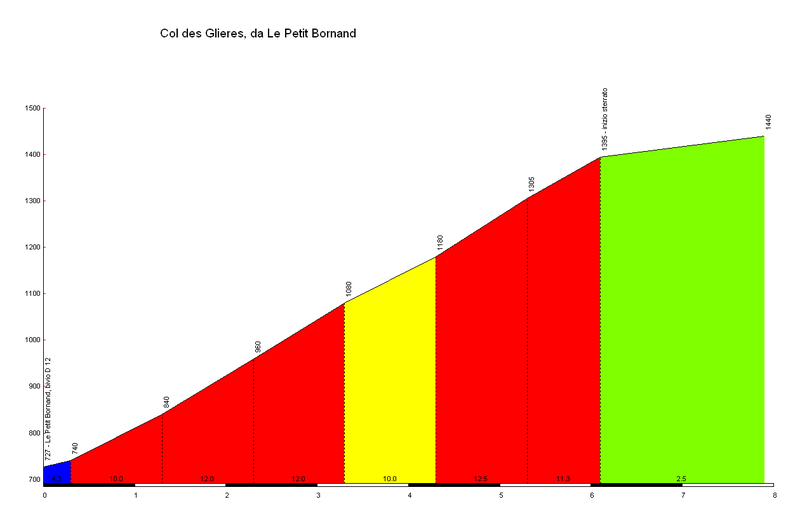 The climb starts immediately once you leave the main road running the length of the Borne gorge, midway between the villages of Entremont and Petit Bornand. The Tour de France is rumoured to be climbing up to the Plateau for the first time for its 2018 edition, and will feature a 2 km gravel section across the Plateau to link in to the descent down to Thorens-Glières.